In a nutshell, being religious is strongly associated with better overall mental health and well-being. The devoutly religious have fewer symptoms of anxiety and depression in addition to having a better ability to cope with stressors. A 2005 study on adults in their 60s and 70s in the U.S. found that religious beliefs buffered against depression associated with poor physical health. And for those of you thinking, “well sure, people who are religious tend to enjoy the benefits of social support by attending weekly services at various houses of worship,” the buffering effects of religion was present even after controlling for social support. In a 2013 study, researchers found that patients who were being treated for depression and self-harm responded better to treatment if they believed in God. Of course, these results do not show causality. Dr. Harold G. Koenig, director of the Center for Spirituality, Theology and Health at Duke University Medical Center, found that more religious people had fewer depressive symptoms after conducting a meta-analysis of 93 studies between 1872 and 2010 on religion and health. According to Koenig, “People who are more involved in religious practices and who are more religiously committed seem to cope better with stress. One of the reasons is because [religion] gives people a sense of purpose and meaning in life, and that helps them to make sense of negative things that happen to them.”? What’s the Downside of Religious Beliefs on Health? Negative religious beliefs are associated with harmful outcomes such as higher rates of depression and lower quality of life. To make sense of all of this, the American Psychological Association sat down with professor of psychology at Bowling Green State University and an expert on the psychology of religion and spirituality, Dr. Kenneth I. Pargament. According to Pargament, if people perceive God as have a loving, kind disposition, they seem to experience psychological benefits; However, we also know that the God of Abrahamic religions has a darker reputation. If a person tends to see God as punitive, threatening or unreliable, then that takes a negative toll on one’s health. If one is willing to be open to the facts, one has to recognize that some beliefs do indeed threaten a person’s health. Let’s consider the idea that people are, right now, refusing medical treatment for themselves and for their children because of their deeply held religious beliefs. People will refuse to get 21st century medical treatment because it is either prohibited by their faith or because doing so would demonstrate a lack of faith in God, when instead, according to their faith, they should be relying on the Creator to answer their prayers. This idea opens up the whole libertarian can of worms of an individual’s personal rights; but when minors, when children – who by the way, aren’t old enough to make informed decisions about many other choices in their lives – are needlessly suffering and dying because their care was left to the rational and ethical choices of their parents, this is an obvious threat to health and raises a far more interesting question. 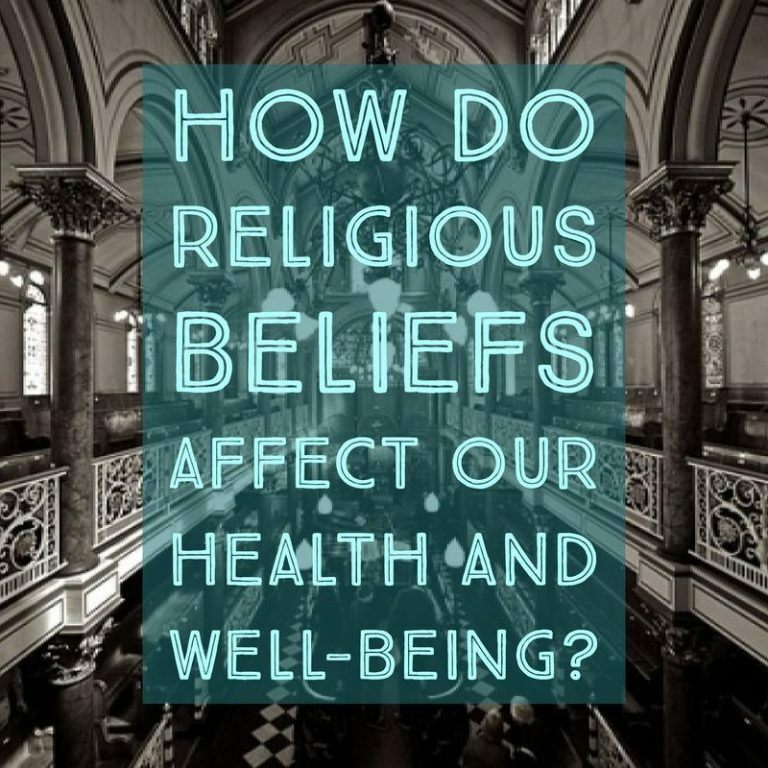 The scope of this article attempted to explore how religious beliefs affect an individual’s health and well-being.How do religious beliefs affect human societies’ health and well-being? This sounds like a blog post idea for another day. ?How is Marriage Defined by 320 Million?